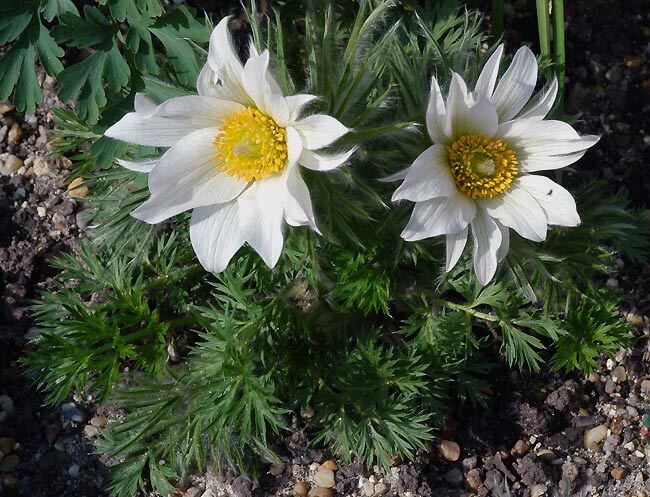 Pulsatilla vulgaris forma alba - This is a lovely white-flowered form of P. vulgaris. It grows without difficulty in my garden. Hardy and spring flowering.